The Volkswagen Beetle was born from necessity, and has established itself as one of the most influential cars in the world. 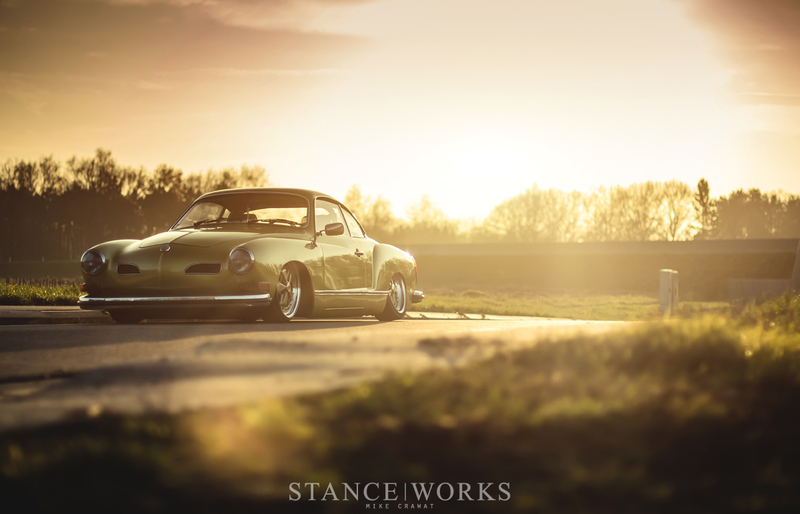 In its wake, it has brought forth a variety of variants and successors; and while many have earned their own accolades and acclaim, few have captured the particular spirit and endearment of Volkswagen's Karmann Ghia. 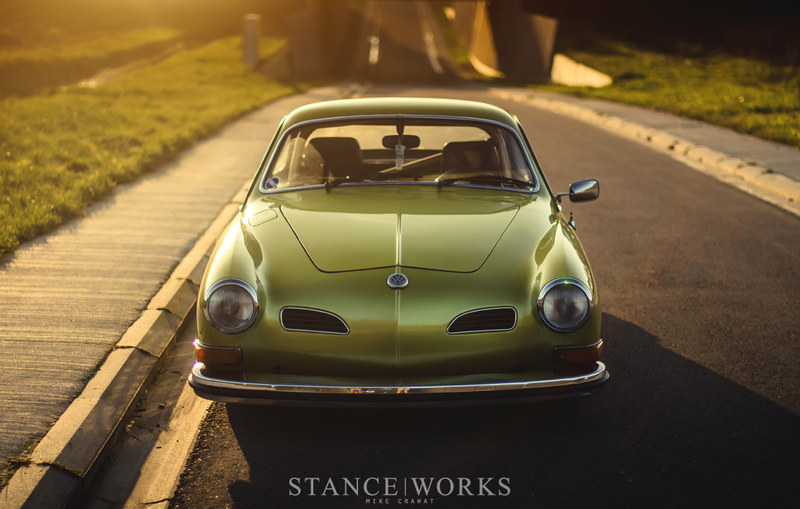 Established as the company's "halo car" in 1955, the Ghia sports the innards of its predecessor, built with styling penned by Italian coachbuilder Ghia, and constructed by Karmann, famed for cars such as BMW's E9 and Porsche's 911. 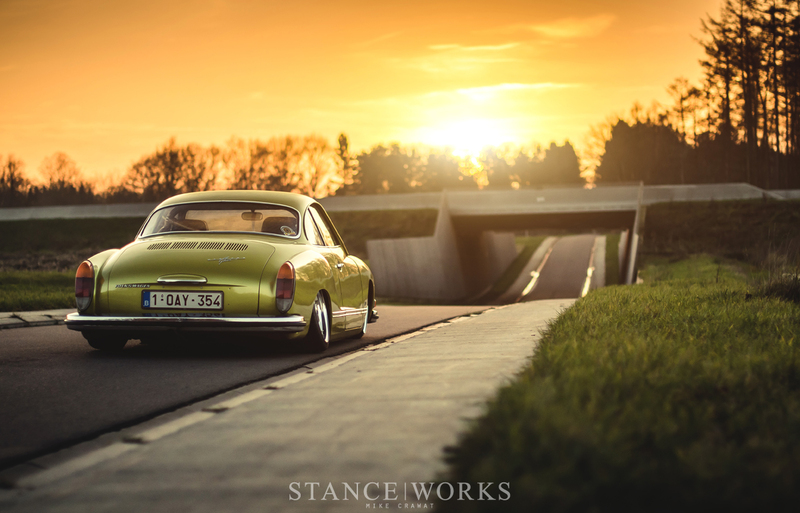 The two together earned the car its unique and straight-forward name, and years of growth in character and popularity have pushed the Karmann Ghia to the upper tiers of Volkswagen's best creations. 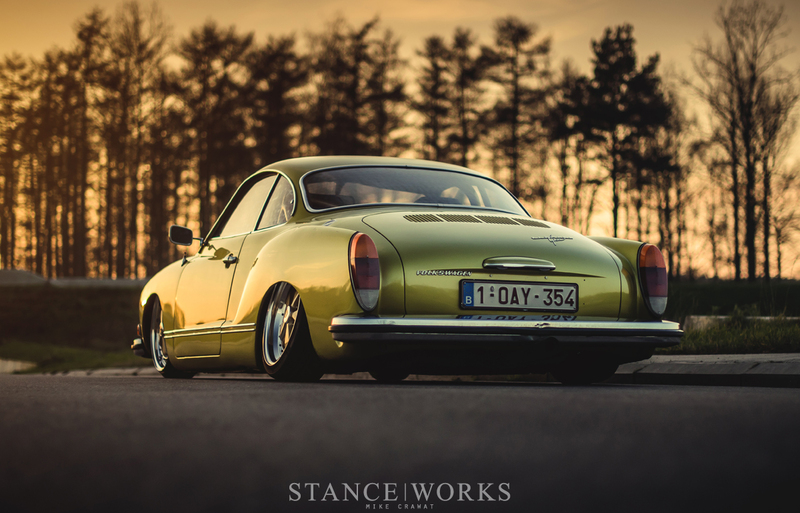 It comes as no surprise then that Volkswagen fans find a sense of fondness in the rear-engined air-cooled 2+2 coupe. 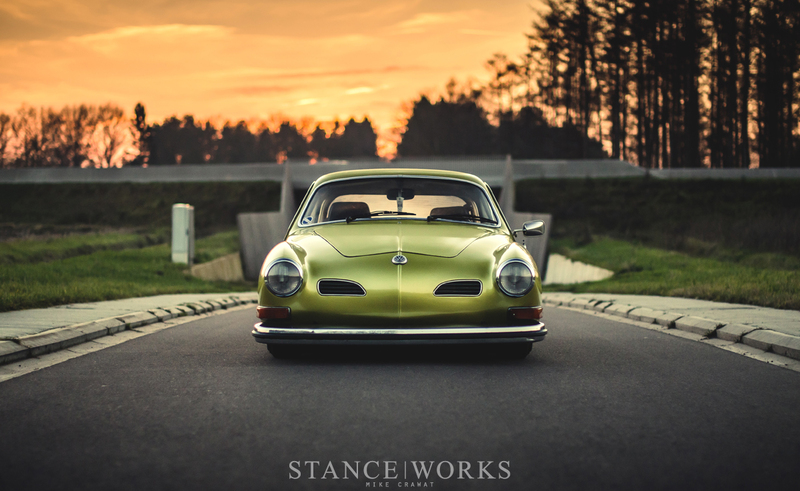 If not somewhat peculiar, Ghia fans are of a special breed, and Nicolas Wlostowski knows this well. Nicolas's own foray into the world of Ghia ownership began with the discovery of a forgotten soul. 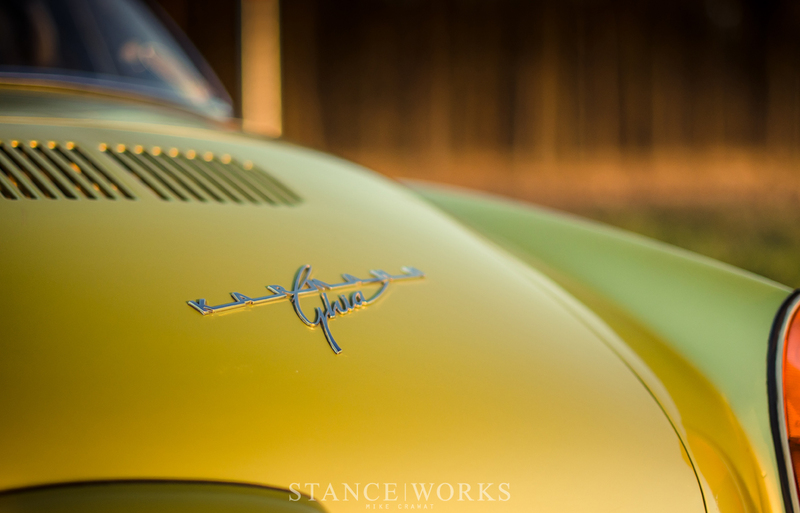 As he tells it, his Ghia was originally purchased by an older lady, new, in '73. Its years of ownership had been less than noteworthy, suffering the abuse and neglect most cars on the road see. The car was eventually passed down to her grandson, whom repainted the car and pulled the engine for a rebuild, all in hopes of reviving it to its former glory, sometime in the early '90s. Despite the grandson's efforts, the car failed to see the road again. After sitting for 18 years, the car was then passed down to his own son, where it continued to sit for another two years, until Nicolas found it. Infatuated with the color, Nicolas knew he had to have the car, and purchased it from the original owner's great grandson. 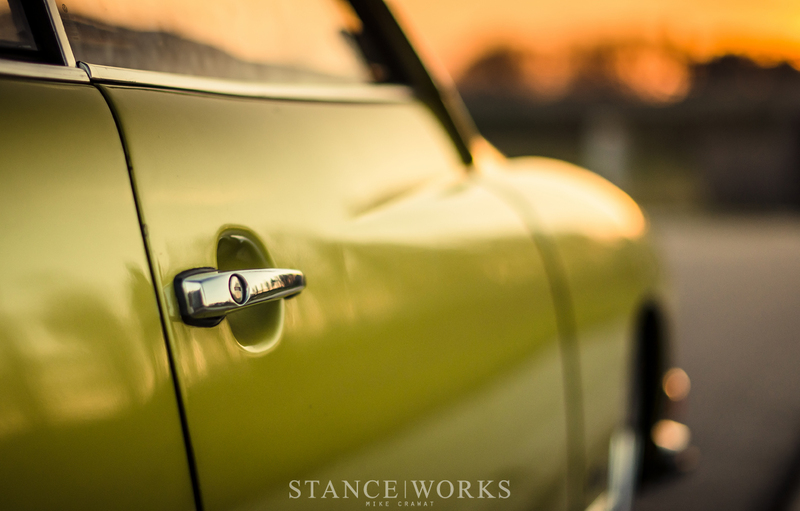 Now, with his own twists and taste, the Ghia drives once more. Nicolas's ownership began with the essentials: returning the car to the road. Now fitted with a 1600cc motor bumped to 1641cc, the Ghia has some impressive scoot. A W100 camshaft, lightened crankshaft, and upgraded rockers make up for factory internals, and an aluminum crankshaft pulley, stinger exhaust, and an electric fuel pump help with output and reliability, and sound. A BugTech short shift kit plumbs input from the engine into the cabin, which Nicolas has filled out further. A custom roll cage, while it eliminates use of the back seat, stiffens up the car, simultaneously adding a glint of safety to a car built in an era when crash test standards were in their infancy. 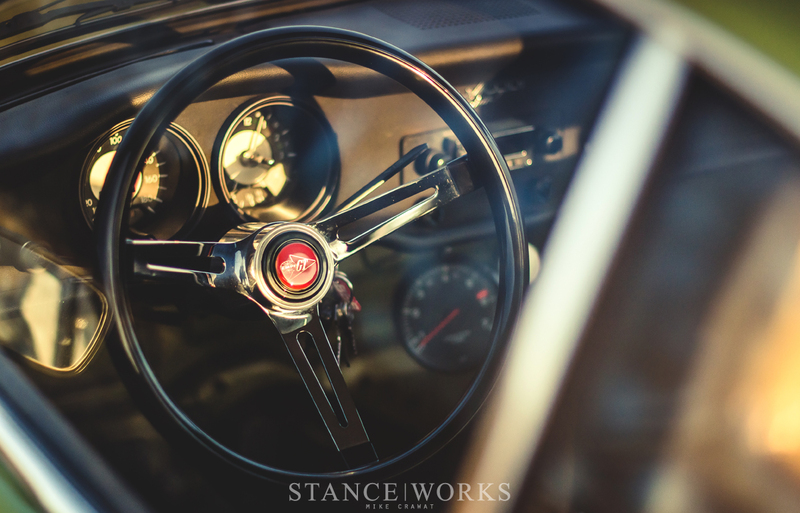 Simpson 5-point harnesses go hand-in-hand with the cage, and subtleties, such as Porsche 912 gauges give the interior its final touches. The aesthetics of the car is where Nicolas established his primary focus. 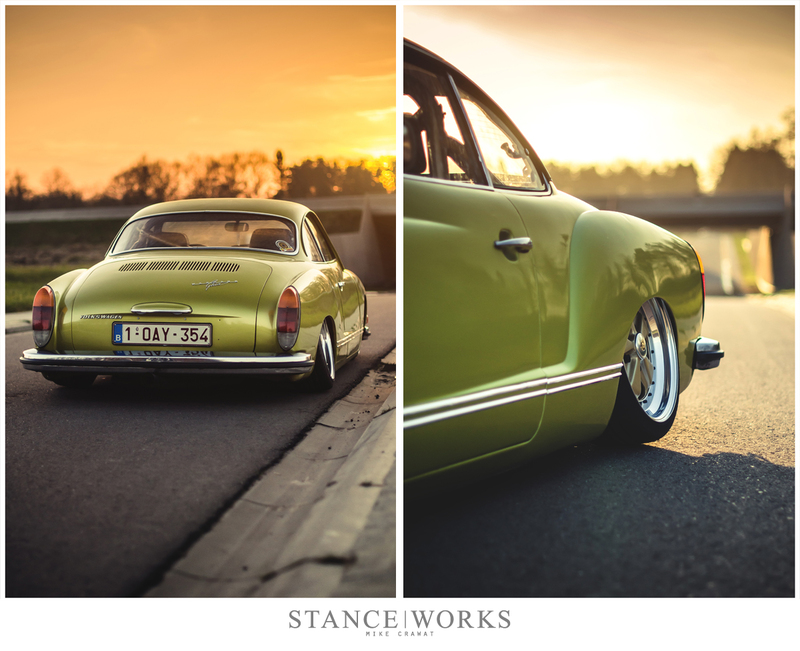 Having fallen in love with the color, Nicolas wanted to see the car's visuals through. Nicolas began with the floorpan while the car was disassembled, raising it a full inch for ground clearance. 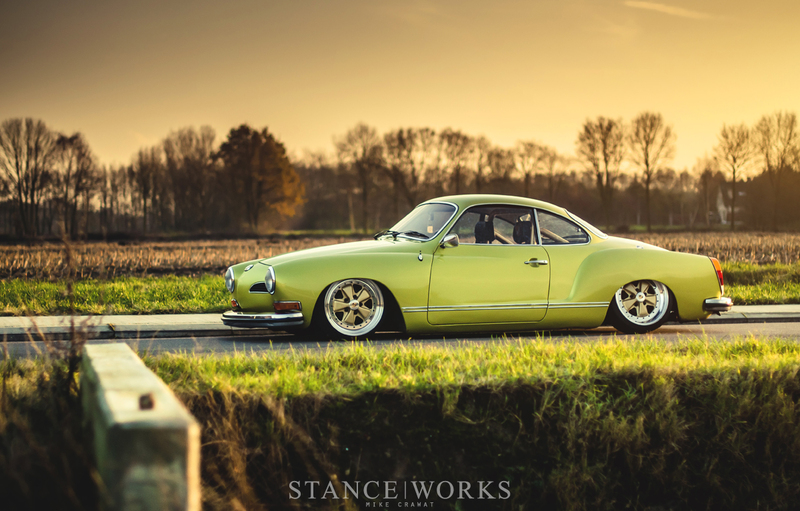 For suspension, he opted to forgo air ride, favoring old school air-cooled methods. The front beam was narrowed 2.5 inches for clearance, and dropped spindles brought the nose down. In the rear, only modifications to the spring plates were required. 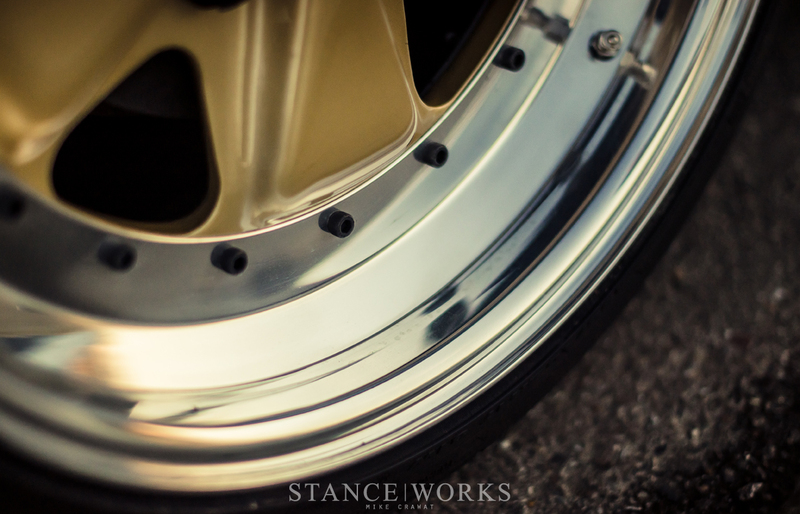 Perhaps the focal point of Nicolas's build is his choice of wheel. 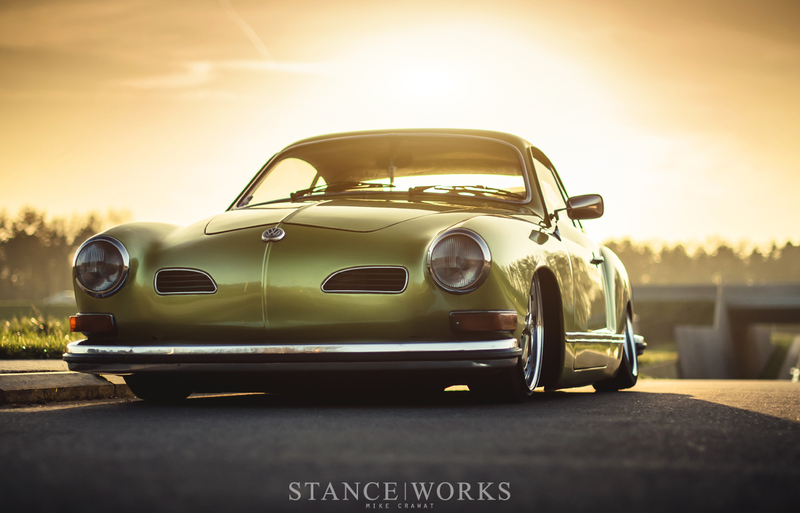 After establishing his own wheel refinishing brand, "2Polished," Nicolas sought to establish and showcase his talents with a custom set of multi-piece Porsche Fuchs; a fitting pair due to Porsche's initial involvement in the creation of the Volkswagen Type 1, and Karmann's 911 design work. 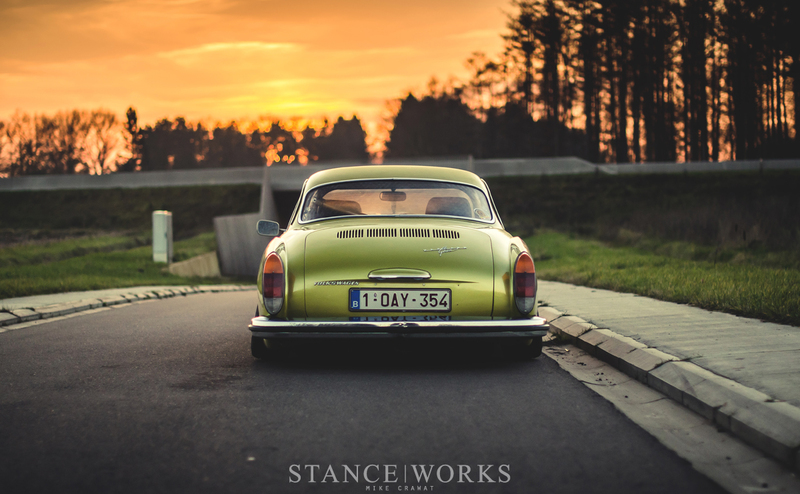 Originally built from 16" cast one-piece Fuchs, the wheels were turned down and machined to accept 3-piece wheel hardware. Stepped up to 17" in diameter, and widened to 7.5", the final measurements for the set landed at ET35 and ET55. Nicolas proceeded to finish the centers in classic BBS silver, paired with polished hardware, and lastly, wrapped with 165/35 and 195/40 tires. After more than 20 years of inoperation, Nicolas has breathed new life and new taste into a growing classic. Whether or not the original owner would be proud is purely up to speculation, but from what we can see, it'd be a surprise if she was anything but. My old car was giving me so many problems, I eventually decided I could save money by selling it and starting fresh. I’d love to own a classic car as cool as this.